Former Manchester United right-back Rafael da Silva took to Instagram to bid an emotional farewell to the club's fans before completing a move Lyon for a fee thought to be in the region of £2.5million. The 25-year-old Brazil international leaves Old Trafford after eight seasons and has agreed a four-year-contract with the Ligue 1 giants. Rafael had found his first-team opportunities limited under the management of Louis van Gaal and the summer signing of Italian right-back Matteo Darmian made it clear that his place in the United squad was far from assured. 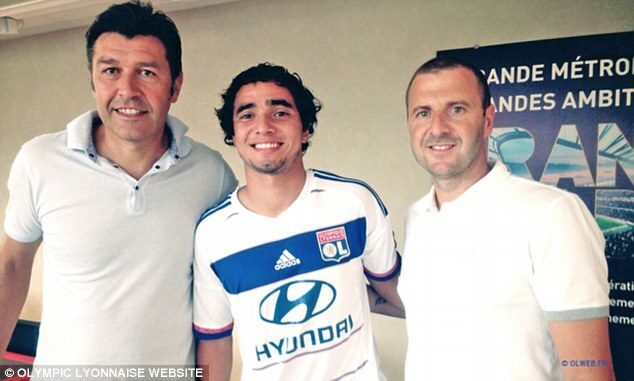 Rafael was signed for United in 2008 from Fluminense along with his twin brother Fabio, who now plays for Cardiff City. He went on to make over 150 appearances for the Red Devils and won multiple honours, including three Premier League titles.